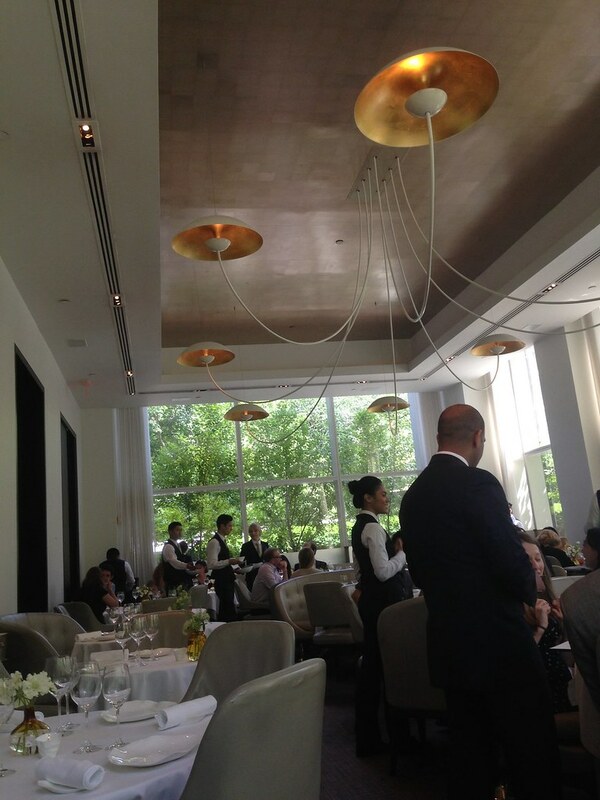 This summer when traveling in New York we had pre-booked a few restaurants, and one of them was Jean-Georges in Trump Hotel near Central Park. 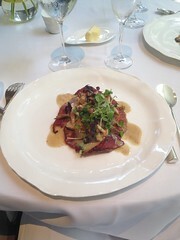 These restaurants had 3 Michelin stars and were one of the 7 restaurants in New York with 3 stars. 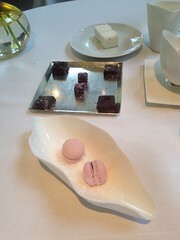 Actually this was my first visit to a 3 star restaurant and feeling pretty excited. There is always some sort of dress code while visiting such restaurants, so a shirt and a pair of nice shoes were needed. As I mentioned the restaurant is in the first floor of the Trump Hotel on 1 Central Park West and while entering they welcomed us and took care of our bags. Walking thru the first room with a bar and people with more informal clothing got me thinking why the fuzz was all about, but entering the inner room i got the message. Here you had people with tailored suits, crocodile leather shoes and purses the price of a Toyota Prius, families with famous surnames, ladies with hats the size of a fruit plate and ceo`s from Wall Street. We were here for lunch so i decided to get Diver Scallops (caramelized cauliflower and caper raisin emulsion) as the first dish and Sauted Veal Scallopine, (flying pig ham, mushrooms and lavender) as the second. 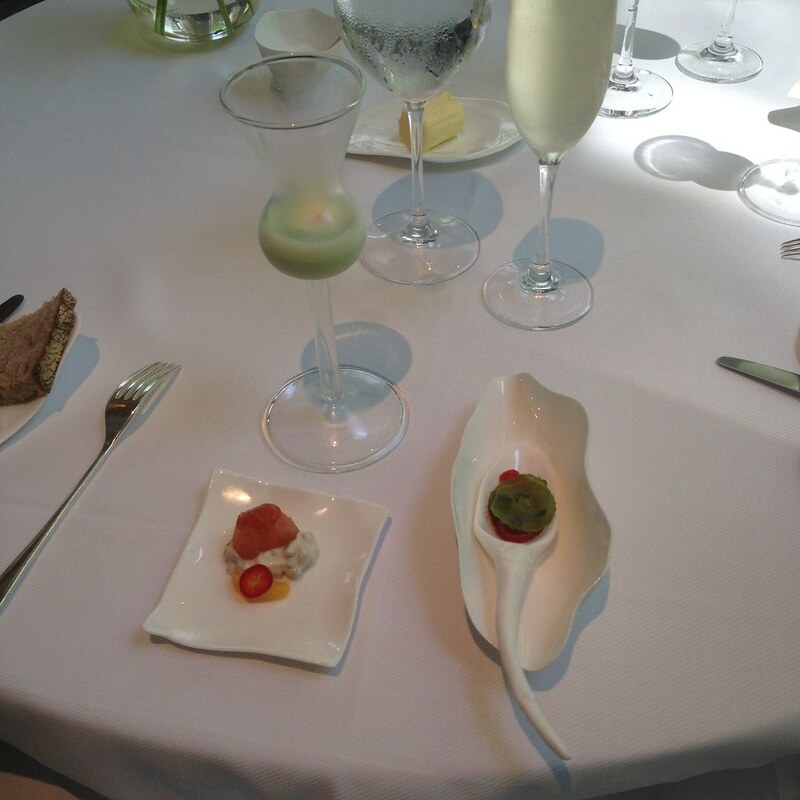 In these restaurant there will always be served some extra dishes as “compliments from the chef” so you don`t have to worry of not being full. The food is delishus with taste in every bite.The interior of the restaurant was white with big windows so we could see Central Park. 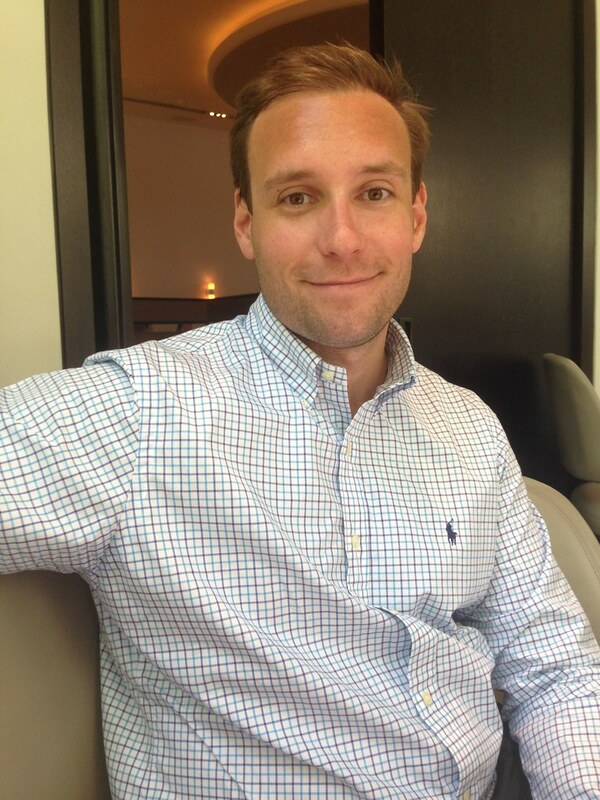 The service was excellent and the price not bad at all. 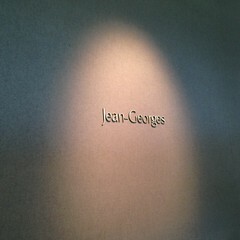 Jean-Georges opened in 1997 to critical acclaim. 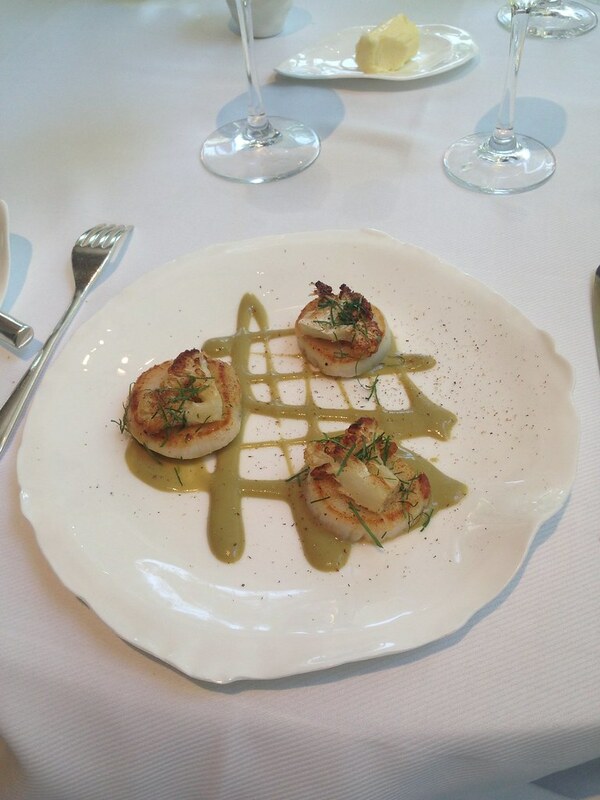 The jewel of Chef Jean-Georges Vongerichten’s empire, the restaurant offers the very best in fine dining. Consistently awarded four stars by the New York Times and three Michelin stars, Jean-Georges presents exquisitely crafted dishes blending French, American, and Asian influences. The local farmer’s market is the driving force behind the seasonal, ever-changing menu. Chef Jean-Georges is a master at maintaining the essence of ingredients while using them inventively to produce the best flavor. Jean-Georges’ chic and intimate dining room was redesigned by Thomas Juul-Hansen, with striking lighting by L’Observatoire. Impeccable service, tableside preparations, and floor-to-ceiling windows with stunning views of Central Park and Columbus Circle all contribute to an unforgettable dining experience. At my first restaurant with 3 michelin stars! 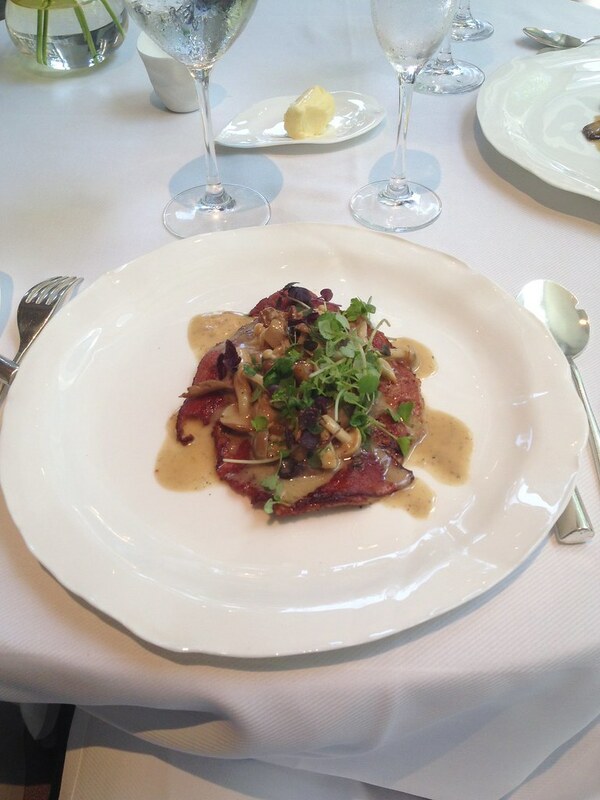 Sauted veal scallopine, Jean Georges restaurant! 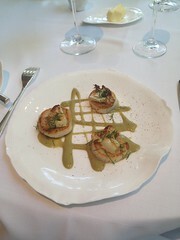 Diver scallops, Jean Georges restaurant! 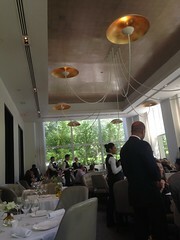 Jean Georges restaurant, Trump Hotel, New York, 3 star michelin!